There are lots of controversial news we hear almost every day, from politics, economy to entertainment and sports. Sometimes it is hard to believe that it is happening for real. If you want to test your knowledge and probably become a news anchor for a while, Fake News Or Not? Card Game is what you need. Can a player figure out which stories are real and which are fake? Designed for kids ages 12+ and adults, the game requires from two to eight players. Fake News Or Not? contains 200 double-sided news cards and "A" and "B" cards. Every playing News card has the beginning of a news story along with three wrong answers and one correct answer. Each player acts as The News Anchor for the round. Then next player becomes The News Anchor. The game does not take much time, approximately 20-30 minutes. 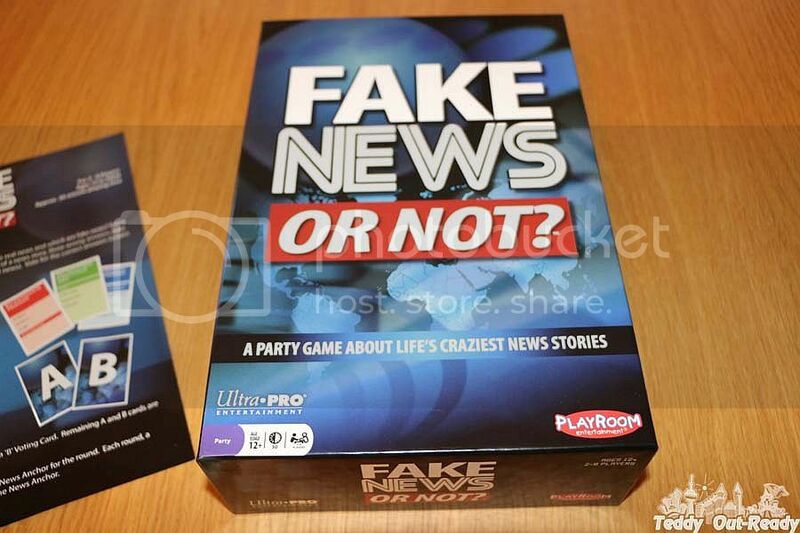 We played the game and some news is really difficult to figure out whether true or false. Especially ones related history or when both choices (true and fake news) seem totally unrealistic. 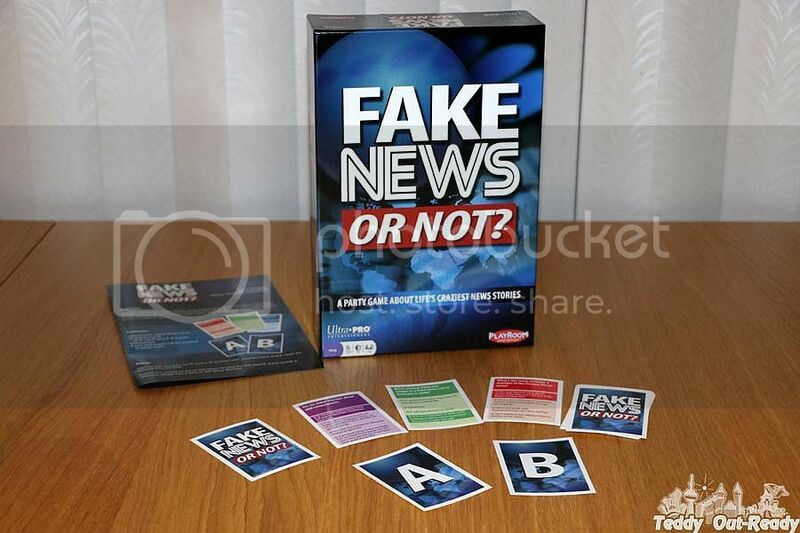 Although there are three fake news that are written on each card, The News Anchor reads only one Real News and one Fake News for other players to vote. Each player has an "A" card and a "B" card. If a player thinks the first story is true, he/she places "A" card face down on the table. Same thing, if the player believes the second story is real, then he/she places "B" card face down. The News Anchor chooses which story to sound first and which one second. For every correct guess, the player gets one point. All points need to be recorded to keep score for each player in the game. The player with the most points wins. I find this game truly challenging, because besides news this game require your knowledge of chemistry, history, physics and many other things. Often our players relied on wild guess. For example, Which was the first toy to be advertised on TV?, Nine months after which 1965 event 35% more babies were born in New York City? or What happened after the 1824 premiere of Beethoven's 9th Symphony? Overall, it is great game to play in a good company of family and friends. It is both fun and educational activity for kids and adults. Life brings unbelievable news but in this game you will find that real stories can be absolutely crazy.